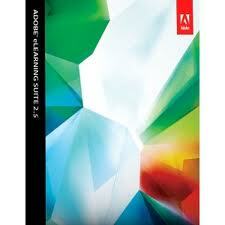 Adobe eLearning Suite 2.5 software is the complete toolbox for creating and authoring professional eLearning courseware content end to end. Get the best eLearning tool for application simulation, digital imaging, rich animations, audio production, and authoring of HTML or PDF content. Accelerate development with rapid prototyping, out-of-the-box assets, and roundtripping workflows. Publish to SCORM- and AICC-compliant Learning Management Systems and track SWF-, PDF-, or HTML-based content effortlessly, without programming.